Snap unveiled a dancing burger AR filter, which follows last month rolled out of the new product called Lenses, as a troll on Google and Apple, which row erupted over the weekend about the order in which the ingredients are stacked in both Apple and Google's burger emoji. Snapchat burger is actually superior to that of Google and Apple, as most burger-munching peeps prefer their burgers stacked from top-to-bottom in this order: lettuce, cheese, and then the meat. Apple's emoji has the cheese firmly planted on top, with the lettuce underneath the burger. While Google's burger emoji has the cheese placed underneath the burger patty, with the lettuce leaf atop all other ingredients. 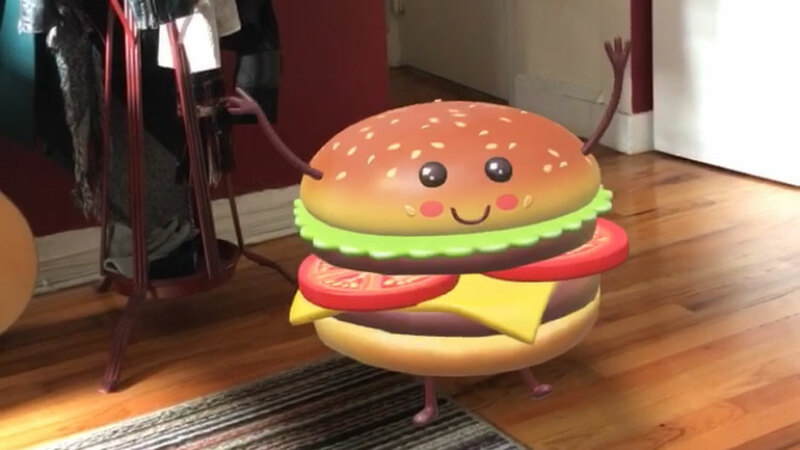 Snap's dancing burger lens has one obvious edge over that of Apple and Google: the two burger patties. Indeed, there's something about Snapchat's burger dance moves that screams "trolling"! Most obviously, Snapchat is taunting Google and Apple. Though, it does not have its own emoji, but it does have AR lenses. And a good sense of humour, too.